Last project I worked on, designing oodles of small craft! ‘Great things come in small packages! Gypsy Knights Games is proud to present the fourth entry in our newest line of products dedicated to the starships of Clement Sector. In Ships of Clement Sector 4: Small Craft, Gypsy Knights Games brings you not one vessel but a total of fifteen different ships! 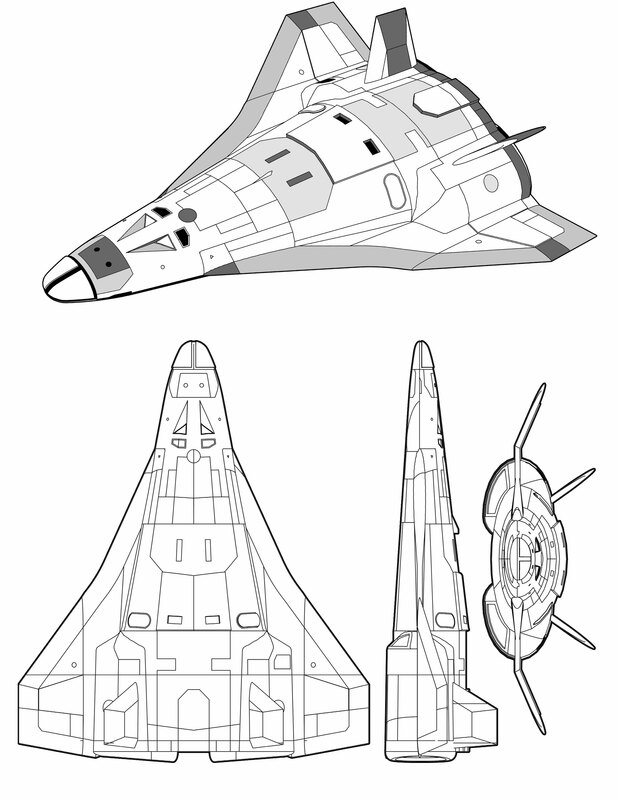 See small craft as varied as the F-212 Scorpion interceptor, the Eagle-class ship’s boat, and the Orbit-class assault lander. 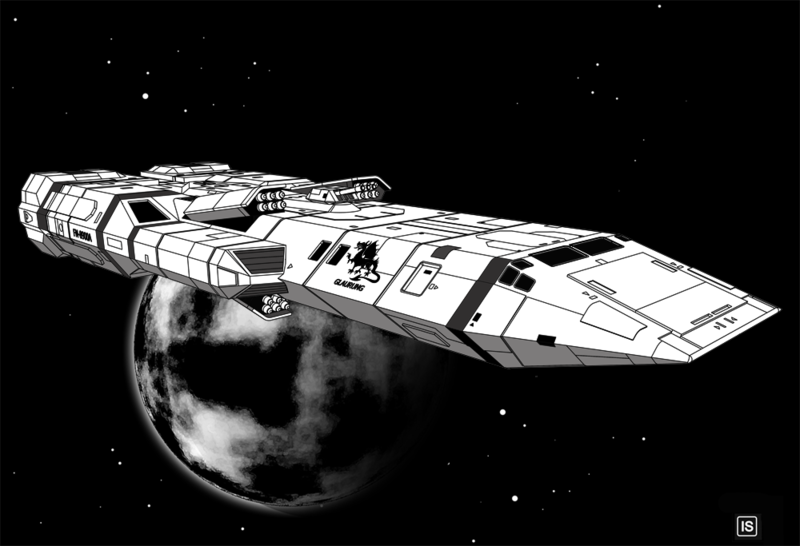 Ships of Clement Sector 4: Small Craft comes complete with beautiful views of each of these ships. Each ship is shown with full deckplans and statistics to make your use of our product simple, easy, and fun. Though designed specifically with our Clement Sector setting in mind, each of these ships could easily be used in any Traveller setting. 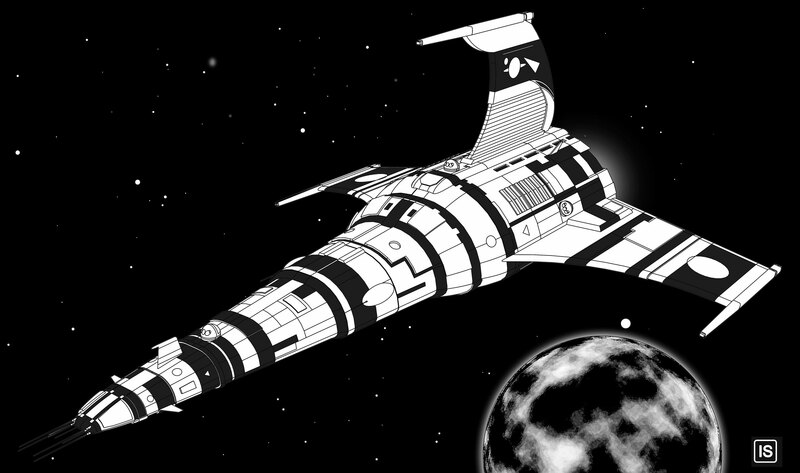 Vargr Frigate – From the DGP Aliens Book.